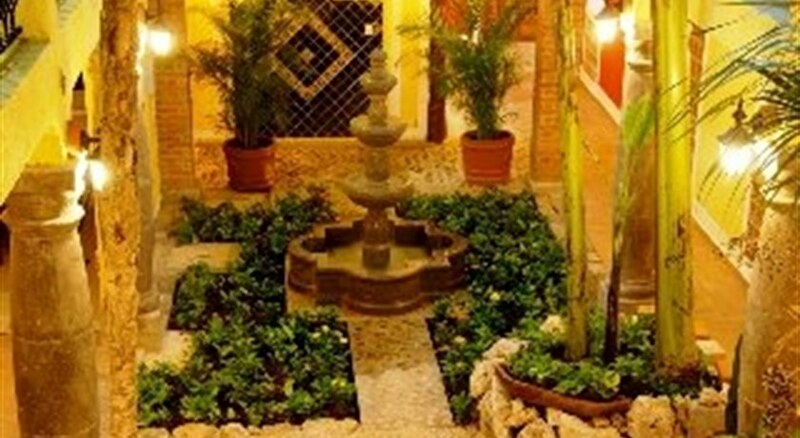 The Hacienda Mariposa Boutique Hotel is located on the famous Fifth Avenue and is just steps away from the beautiful Caribbean Sea. 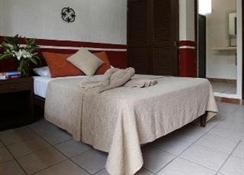 The hotel is well located for visiting main attractions in surrounding areas, including the Mayan ruins of Tulum and Xelha as well as a large variety of water sports, such as snorkelling and diving, fishing and sailing. 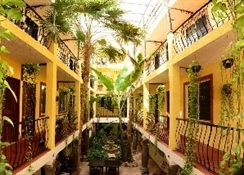 The Hacienda Mariposa Boutique Hotel offers 28 guest rooms, nine of which are moderate rooms, 14 superior and five deluxe. All guest rooms feature air conditioning, private bathroom with toiletries, shower, cable television, and hair dryer, city views, in room safe and iron and ironing board on request. 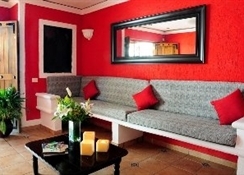 This hotel is the right choice for those seeking comfort and peace in a casual environment with a Mexican style. 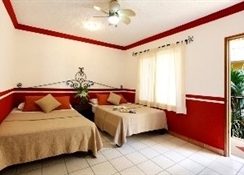 The Hacienda Mariposa Boutique Hotel offers 28 guest rooms, nine of which are moderate rooms, 14 superior and five deluxe. All guest rooms feature air conditioning, private bathroom with toiletries, shower, cable television, and hair dryer, city views, in room safe and iron and ironing board on request. Please note some amenities may be payable locally. The hotel restaurant offers a full breakfast each morning and specializes in Italian cuisine and serves lunch and dinner. The hotel bar offers a selection of cocktails, spirits and beers. Playa Del Carmen is in the heart of the Riviera Maya and is the regionâ€™s top destination for shopping, dining and nightlife. Playa Del Carmen is famous for its beautiful beaches and 5th Avenue which is the main tourist thoroughfare in Playa. It is a pedestrian only, cobblestone lined street which is filled with a variety of bars, restaurants, clubs and shopping opportunities.